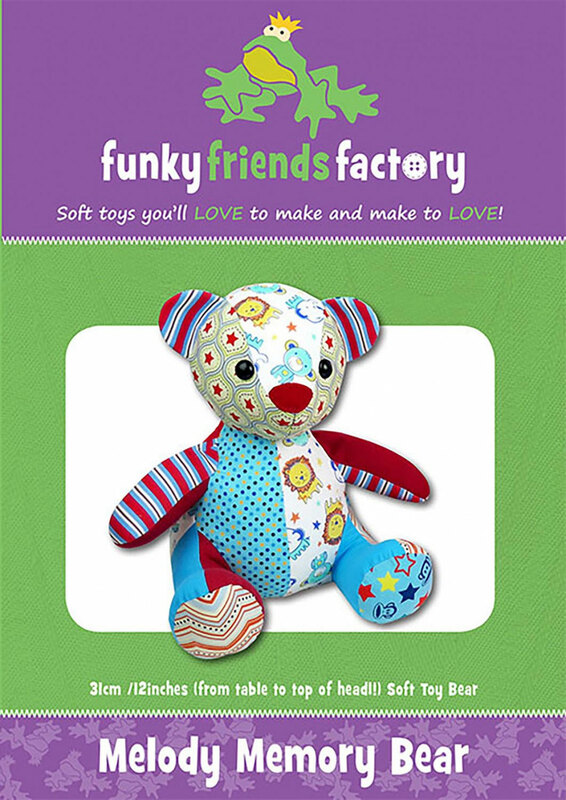 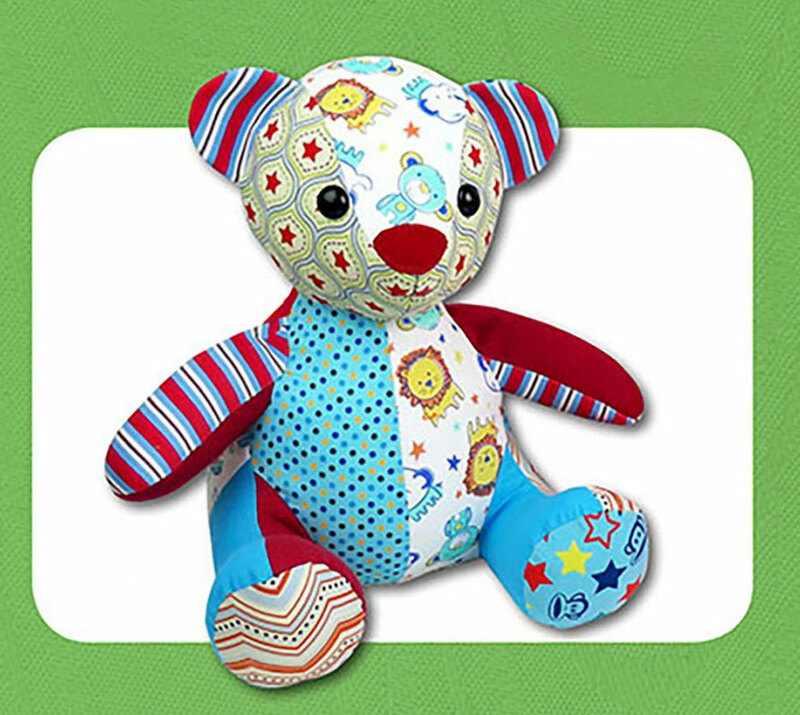 Use Melody Memory Bear to make a 'patchwork' bear from special fabrics and pre-loved clothing items to create a special memento. 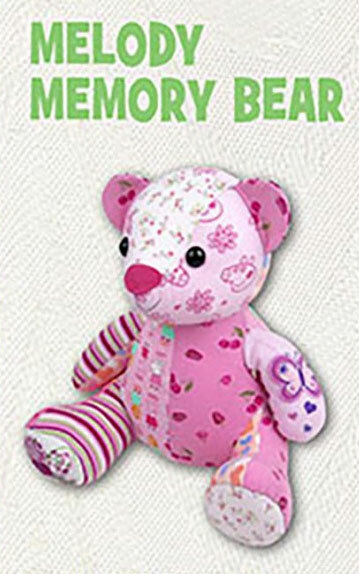 Or make her to cherish as a reminder of your baby's first years, to mark a special occasion, or in memory of a special loved one. 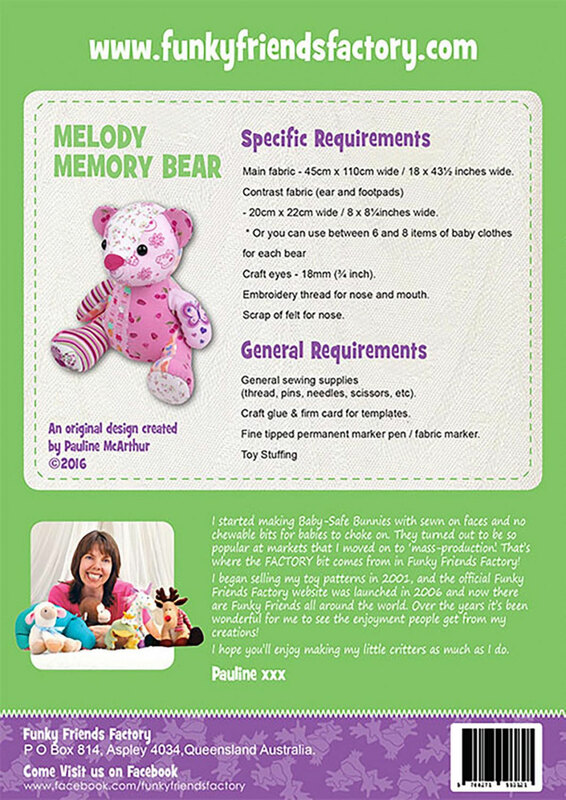 Melody is a perfect size to cuddle and bring comfort at a time of loss for children and adults too.